Mouth blown glass vase gilded with gold leaf on the outside. 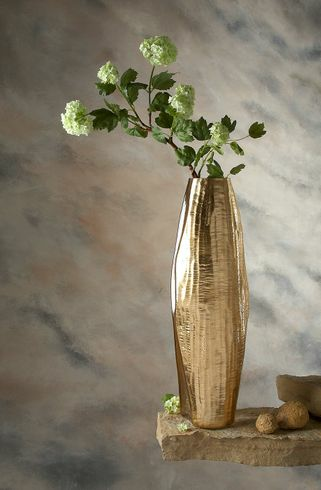 20" tall textured vase with solid gold leafing and clear on the sides of vase. Opening on top of vase is 3". The Texture of this vase is taken from tree bark a organic feel with a beautiful hand gilded finish.